Almost immediately after releasing my earlier post on the latest mens camo trends from designer Stussy, I received what I'll call "hate mail" from some of my loyal readers about not featuring any swagged out womens camo clothing in the post, like the vintage cropped camo jacket, shown above. Ladies, check out these camo leggings with ruching from the Luxirie by LRG collection. They're available at Dr.Jays for under $30. 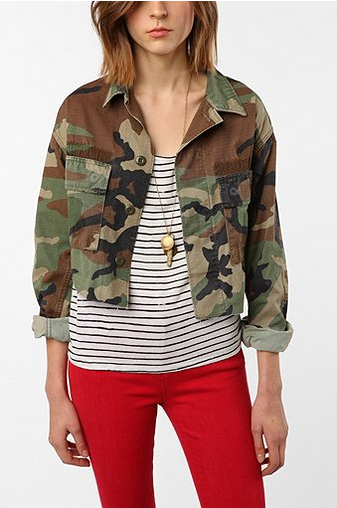 You might also like this Vintage Surplus Camo F2 Army Jacket from Polyvore. You will look ready for action in this camo-print military jacket, featuring concealed button front and zipped pockets at the chest. It retails for $75. 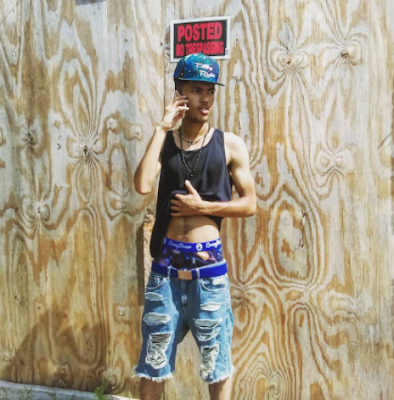 Nice blog for the attire. If you are looking for cheap t-shirts then, get it from the Textual Tees which is one of the online store for the amazing t-shirts. I like your street wear fashion. Try different outfits and visit Yayukatajapanese streetwear online shop to get outfits at an affordable price. I really like your t-shirts with this jacket. You can also try Drag Queen T-Shirts as the formal wear.